This is the tale of a bright young girl and a beast with a hideous exterior but a kind heart who are sweeping the ad world off its feet. 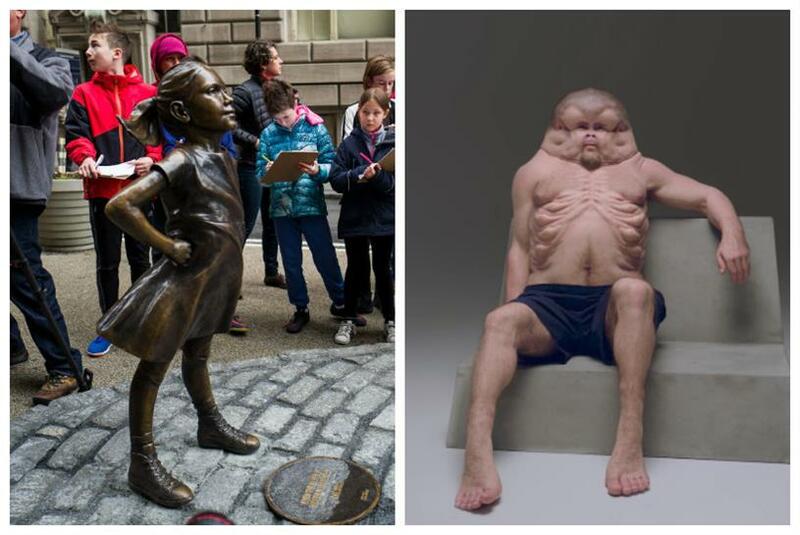 You might already know them as "The Fearless Girl" and "Meet Graham." They are two of the best recent pieces of work that have been celebrated this year for their powerful messages and the way they were brought to life. And they will continue to be celebrated at the Cannes Festival of Creativity this June. Who would have thought that a 50-inch tall bronze statue of a girl created for State Street Global Advisors could have such an impact in our society? According to Wikipedia, bronze sculptures date back to 2,500 BC and are one of the oldest forms of art expression known to humans. Did you know one of the first statues ever made is called "Dancing Girl" and is described as "about 15 years old I should think, not more, but she stands there with bangles all the way up her arm and nothing else on. A girl perfectly, for the moment, perfectly confident of herself and the world." "The Fearless Girl" didn't need any coding or influencers to make it work. It was a simple and brilliant idea executed in the best way possible. Imagine if instead of a bronze sculpture, she was a hologram. It wouldn't have had the same impact. A 4,000-year-old technique was just enough. Now, to the Beast. We've already "met" Graham, an interactive human size sculpture created for Australia's Transport Accident Commission of Victoria (TAC). As described by CNN, he has a grotesque body constructed primarily from silicone and human hair. Graham, much like the Beast in the Disney classic, is cursed by a tearful spell that can only be broken when he truly learns to love. The love that breaks his spell, is the love that we have for ourselves and our community by making our roads safe. Graham, with his lack of humanity, reminds us all how human and vulnerable we really are. From a bronzed beauty to a silicone beast, these campaigns show us what we sometimes forget: That an idea can live anywhere, that we don't have to be slaves to formats, mediums or trends. And like in the fairy tales, they will be happily ever after dancing on the stage, but this time in the French Riviera. —Rafael Rizuto is executive creative director of 180LA.